If you or a loved one experiences dental trauma or severe pain that can’t wait for a scheduled appointment, contact Dr. Durgesh Thaker. 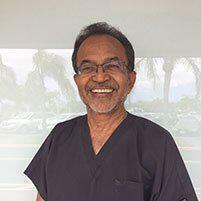 He provides emergency dental care for men, women, and families at two locations in Tamarac, Florida. When you’re in need of immediate dental care, call or book an urgent appointment online. If you have a knocked-out tooth, brush off any debris, but do your best to keep the tooth root intact. Handle the tooth by the crown, not the root. If possible, hold the tooth in your mouth, between the cheek and the gum, or place it in a container of milk and get to Dr. Thaker right away to improve the chance of reimplantation. For a cracked, fractured, or chipped tooth, get to the office right away, so Dr. Thaker can evaluate the extent of the damage. You may need an emergency filling, crown, or extraction. If you have something stuck in your teeth, try to loosen it with floss. For bleeding, rinse your mouth with water and use compression to minimize the blood flow. Swelling, severe pain, and abscesses benefit from a cold pack. Avoid lying down, which can promote greater inflammation. What if I’m not sure my situation is a true emergency? Always call the office if you have a serious dental concern. The staff can help you decide whether you need to come in immediately or if your condition can wait for a later appointment. Dr. Thaker makes every effort to keep a few appointments open daily to address emergency needs as they arise. The staff can also contact him by cell phone so he can travel between offices when necessary. Don’t hesitate to contact Dr. Durgesh Thaker if you’re affected by a dental emergency. Call one of his offices or book online to be seen right away.